Phaser 6600/WorkCentre 6605, High Capacity Cyan Toner Cartridge for Phaser 6600 Xerox Phaser 6600/W..
Phaser 6600/WorkCentre 6605, High Capacity Magenta Toner Cartridge for Phaser 6600 Xerox Phaser 660..
Phaser 6600/WorkCentre 6605, High Capacity Yellow Toner Cartridge for Phaser 6600 Xerox Phaser 6600..
Phaser 6600/WorkCentre 6605, High Capacity Black Toner Cartridge for Phaser 6600 Xerox Phaser 6600/.. This genuine Xerox high capacity cyan toner cartridge is specially formulated for the VersaLink C500..
Standard-Capacity Maintenance Kit, Phaser 8500/8550/8560/8560MFP This easy-to-replace maintenance ki.. Imaging Unit, Phaser 7760This imaging unit is engineered exclusively for the Xerox Phaser 7760(TM) C.. Waste Cartridge for Phaser 6700 Xerox maintenance items are designed to keep your Xerox equipment op..
Xerox's proven Xerox Colorqube Ink Yellow, Colorqube 8700 (2 Sticks), North America for ColorQube 87..
Xerox's proven Xerox Colorqube Ink Black, Colorqube 8700 (4Sticks), North America for ColorQube 8700.. This genuine Xerox cyan drum cartridge is designed specifically for your Phaser 6510 or WorkCentre 6..
Xerox maintenance items are designed to keep your Xerox equipment operating efficiently and deliveri.. 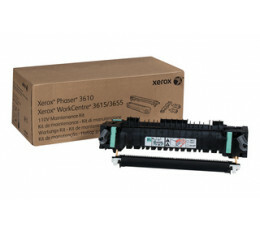 This genuine Xerox 110-volt maintenance kit is designed specifically for your Phaser 3610, WorkCentr.. Productivity and Print Quality With best-in-class speed*, print resolution and media capacity, your ..